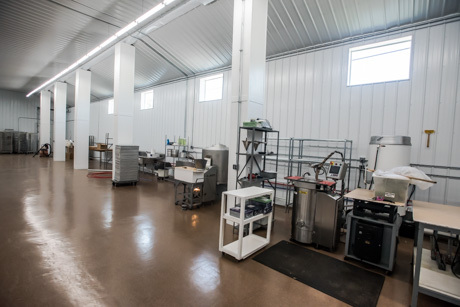 Oliver's Candies is poised to triple its confectionary manufacturing capacity as it begins operating its kitchen in a newly acquired Elba facility, located at 100 S. Main St. (Route 98). By this time tomorrow, all the stoves there will be fired up and cooking. 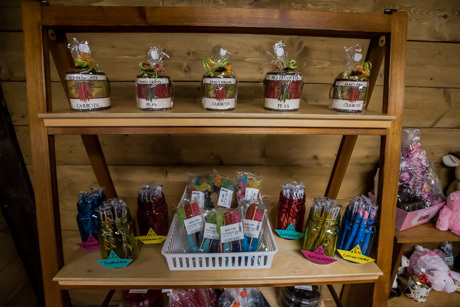 It also has a 1,000-square-foot retail store at the front of the property that sells candy, ice cream, coffee and country-style Americana crafts. The move is a seismic shift for the 80-year-old, renowned local chocolatier and purveyor of colorful ribbon candy, unique sponge candy, and other award-winning sweets. The entire factory will be based in Elba. 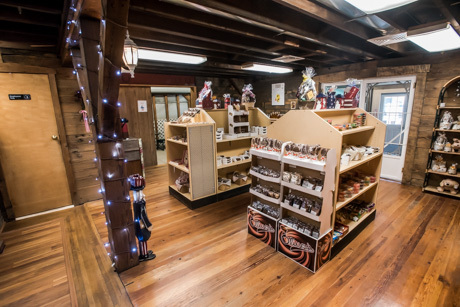 The iconic Swiss-chalet-style Batavia store on West Main Street will expand its food service and retail space into the former candy-making areas at the back of the store. 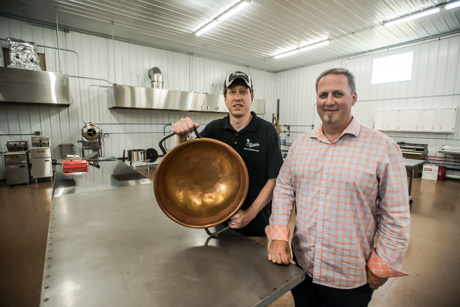 "We've been busting at the seams in Batavia for a couple of years now and we've talked about building onto the existing building (in Batavia)," said Oliver's co-owner and Vice President Jeremy Liles this morning. "We looked at expanding here, but the Tonawanda Creek was problematic and the option was just too expensive." As it turns out, "We didn't choose Elba, Elba chose us." He explained that his company owns commercial properties in several locations in Genesee County. They looked at property in Le Roy and Corfu, but the drive time didn't work. The Elba option was only a six-minute commute from Batavia, and although it required an extensive overhaul, Liles said they acted quickly to seize the opportunity. "It called to us, and we acted fast," he said. 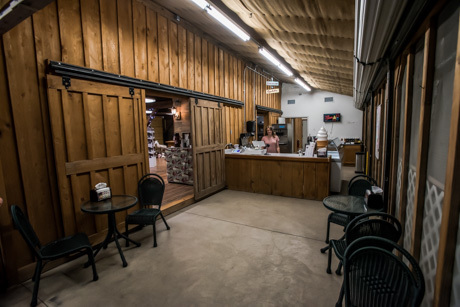 "It had a cute barn for the store, loading docks, smooth concrete. 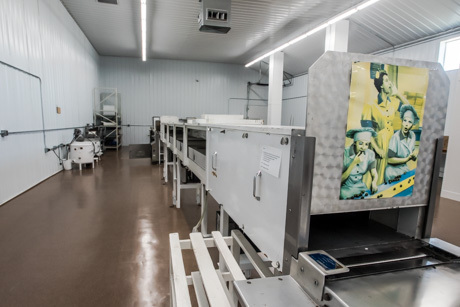 We converted the inside; insulated it; added central heat and air-conditioning, put in steel walls that are easy to clean, new hoods for the ovens. Redid the roofs, which were pretty worn. It's nice." 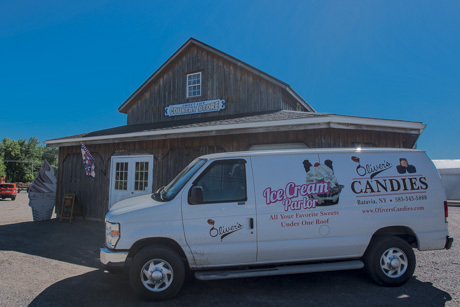 The structure was built as a warehouse; it has served as a produce stand and an ice cream stand and a barn sale site. 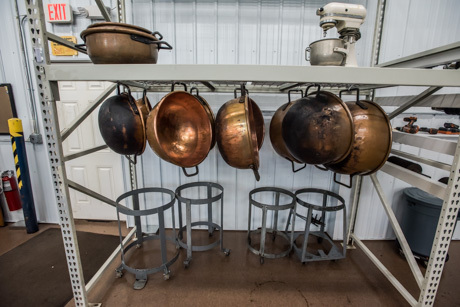 The remodeling, relocation of cooking operations, and overall expansion plans will cost Liles "more than I ever wanted to pay" but the growth potential is enormous; it is a shrewdly calculated risk. "It's very scary -- I've got to sell a lot of candy now," Liles said. "It's a huge change, huge growth, but a lot of opportunity there." 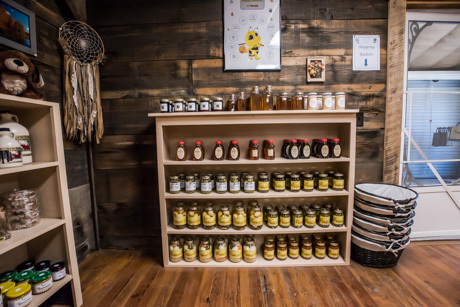 A groundswell of corporate and wholesale customers is driving the expansion. Liles said they are providing a large catalog company with private-label candies and are growing sales in Virginia, North and South Carolina, and are looking at an opportunity in Georgia. While they are concentrating on manufacturing for the foreseeable future, Liles' vision for the Batavia store is that it keeps its rustic charm and expands the ice cream and coffee customers' seating areas, with great big picture windows overlooking the Tonawanda Creek, with a beautiful roaring fireplace, too. 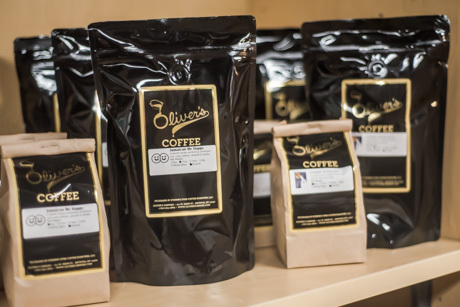 About a month ago, Oliver's started offering its own custom-roasted coffees. Liles would like to partner with a bakery to sell pastries to go with that coffee in Batavia and Elba. Liles' wife, Sandy, operates the Elba retail store. "My big dream is to have a drive-thru at both stores," he said. Liles said now is the company's "quiet time" but by late fall he expects to hire at least two people. And "if Elba takes off," possibly more in both the manufacturing and retail operations. Meanwhile, there are some cosmetic finishes still needed in Elba, including staining and painting on the outside, and landscaping. "We've come a long way; it's not 100 percent yet, but we'll get there," he said. "The upstairs is not being used yet. But we have some ideas for the space, like at Christmastime. "I love doing all this. It's fun, exciting but also very scary." Top photo: Master candy maker Doug Pastecki and Jeremy Liles.